Like most things Jenner and Kardashian related, everybody has an opinion on Kylie Jenner’s cover of the April issue of Paper, which surfaced today. Jenner’s lip seems to be the center of the conversation, with commenters in an uproar about their XXL size. The 18-year-old took to her Instagram account today to set the record straight about her enhanced looks. “Wow wow wow my @papermagazine COVER,” Jenner wrote, adding, “Yes my eyes and lips are edited to look bigger.” There we have it. 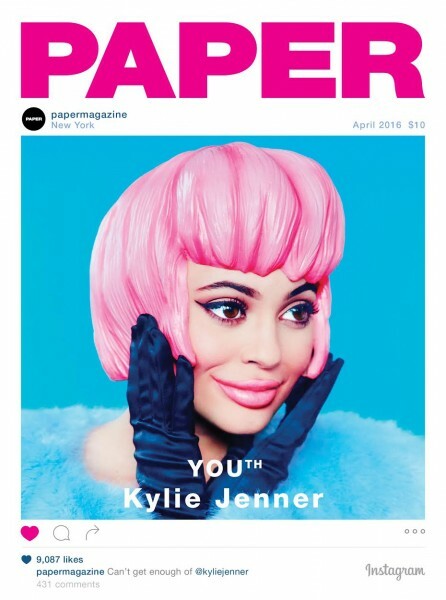 Paper’s YOUth issue, which features “plenty of Instagram motifs and rising internet stars,” hits stands on April 12. Erik Madigan Heck photographed the baby Jenner.